First we have to thank you for your preference, and to wish you good residence, here we give you some useful informations about our island, "Camara Hotel" and about services, as we want to make your accomodation pleasant. We want you to be sure that the manager and the staff of "Camara Hotel" will be here for you, day and night and every concept or well meaning censure will be useful for us. 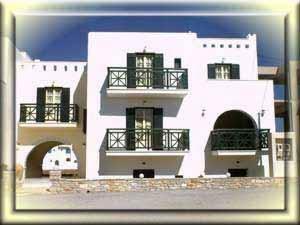 Reception will help you with car rental, exchange, laundry, iron, air and boat tickets, one day excursions in 40 villages of Naxos and also on the other islands, cultural exhibitions, museums and any other information you want. Bar, 24-hour Front Desk, Garden, Terrace, Continental Breakfast, Free Parking, Elevator, Express Check-in/Check-out, Heating, Luggage Storage. Room Service, Babysitting/Child Services, Laundry, Dry Cleaning, Currency Exchange, Car Rental, Tour Desk, Fax/Photocopying, Ticket Service.